I was minding my own business concentrating on driving my car to the supermarket, when the windscreen was struck with gravel that had been thrown up from the road by a vehicle travelling in the opposite direction. 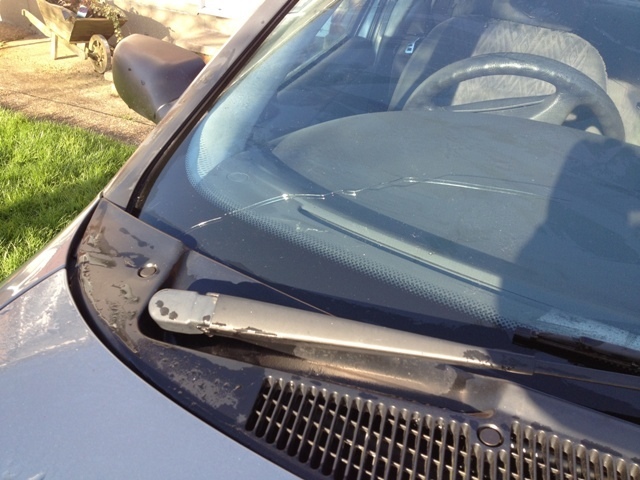 At first I did not think there had been any damage, and it wasn’t until the following day that I noticed a 30 centimetre crack in the offside, lower corner of the windscreen. A closer inspection revealed two small pits in the glass, and three in the adjacent alloy frame. One piece of gravel had hit the screen with such force that it had caused the crack. I looked at the policy document of my car insurance and found to my relief that the screen could be repaired for £10 or be replaced for £75, providing it was done by Autoglass. I telephoned them and made an appointment for the work to be carried out at my home. A description of the damage confirmed my suspicion that the windscreen would have to be replaced. The day of the repair was last Wednesday, when the temperature was below freezing. I was expecting the technician to arrive mid-afternoon, because the timeslot given was between 12.00 and 16.00. At 15.30 there was no sign of him. Ten minutes later I received a call to say he was finishing a repair nearby and he would be with me shortly. 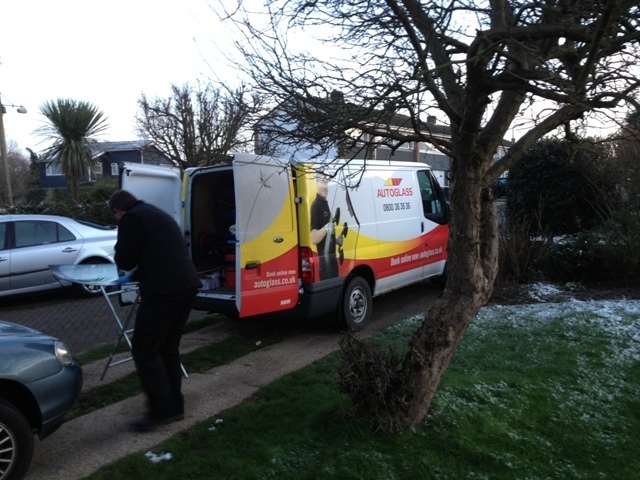 At 15.55 his van reversed into my drive, but I had my doubts he could complete the task before dark. Within seconds he set up his bench, extracted a windscreen from his van and thoroughly cleaned it. He continued working like a speedy automaton that had been programmed with the actions of skilful technician. Darkness fell, and I thought that was it, but he set up a floodlight and continued working at a phenomenal rate. By 16.55 a new windscreen was securely in place. I asked this remarkable automaton how long he had been doing the job. Without a trace of Dalekese he replied, “Twenty-five years.” I praised and thanked him for his labour, whereupon he smiled, as humans do. Truly he was one of those rare workers who earn their keep. Oh, that there were more like him, because this Country would be Great Britain again.